Trends in Ed, 10.20.2010: No more paper !? Even though there are still many unresolved issues with transforming into the digital education horizon, it is inevitable that the trend of digital education is growing. Books are shifting to computers/iPads, and YouTube videos are used constantly in classes, and laptops are slowly replacing desks; The technology that we have now is indeed dramatically changing the publishing and printing industry. Below are a few videos on digital education and their impact. The first one shows a young pre-school boy using iPad to review what he learned in math class, while the other two are students from ACU commenting on what they think of digital education. I am new to EdLab, and I find it very interesting and fun as well that people in the office talk to each other via Google chat even though we are just steps away from each other. Digital technology really is taking place everywhere and anywhere. What do you think? 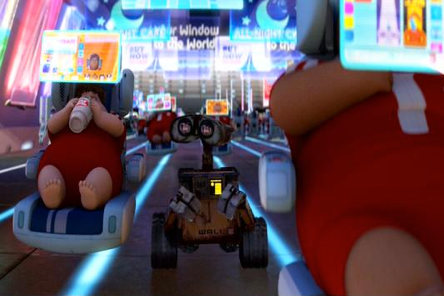 With this digital revolution, will we eventually live in a tale like Wall-E?